Located in St. Marys, PA "The Heart of P/M Technology", Quala-Die's 43,000 square foot manufacturing facility is one of the most efficient, modern, and well-equipped operations in the Powdered Compaction Tooling and precision machining industry today. 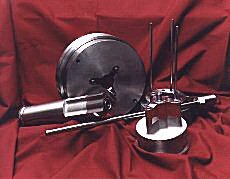 Quala-Die, Inc, is a leading producer of tooling for the Powdered Compaction Tooling industry as well as precision machining. 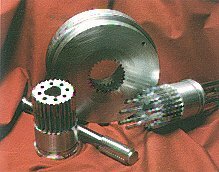 At Quala-Die every effort is focused upon producing state-of-the-art tooling at highest level of quality, with the quickest possible delivery, most competitive prices, and the highest level of customer service. Our powder compaction tooling facility is on the cutting edge of tooling technology and our full service Engineering Department is equipped with the latest in CAD/CAM technology. We also can machine prototype parts to customer specifications. From a simple single level part to the most intricate multi-level structural component our engineering and production capabilities enable us to provide drawings and to manufacture a complete set of production tooling within your required press specifications and part tolerances. Hard to machine materials, such as Carbide, CPM-10V, Aeromet, etc... are no problem for our experienced personnel. Using the latest equipment and techniques we can provide superior finish and close tolerances. Explore this site and see what Quala-Die can do for you! "Our policy is to provide Quality Tooling that will meet or exceed our customers Requirements and Deliveries through continual improvements. " Please contact us with any questions or concerns. On most quotes we can provide a response within 48 hours. Our sales staff is committed to your satisfaction. © 2008 Quala-Die, Inc. Information published on this website may not be reproduced without prior consent of Quala-Die, Inc.